Sometimes I finish a project and think, WHY did it take me so long to do this? In this case, the doing itself was quick, but I missed out on TWO WHOLE YEARS of dressing my kid in my favorite fabrics. 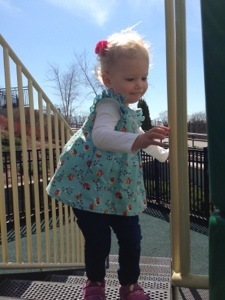 I may not ever have another little girl to dress, you know? 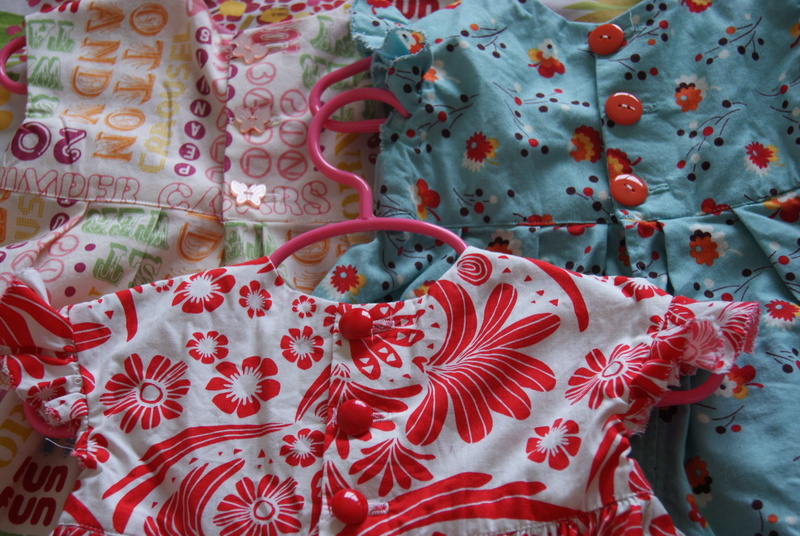 In general, I believe children’s clothing (ESPECIALLY girls’ clothing) should be easy, comfortable, and age-appropriate. No doo-dads, not a lot of ruffles, NO IRONING. (So, you’ll please to pardon the wrinkles. These have already been worn and washed!) 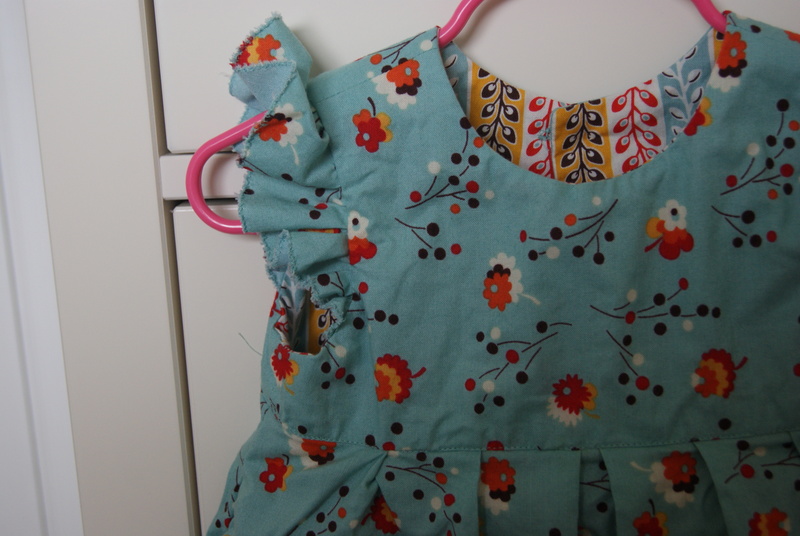 So I dragged my heels about making Lucy any clothes because I believed that “special” little girls clothes were inherently fussy. And if I had my say, I’d let her wear leggings and a knit tunic every day of her life, because we should all wear elastic-waisted pants as long as the world will let us. But! But, enter Made By Rae’s Geranium Dress pattern. 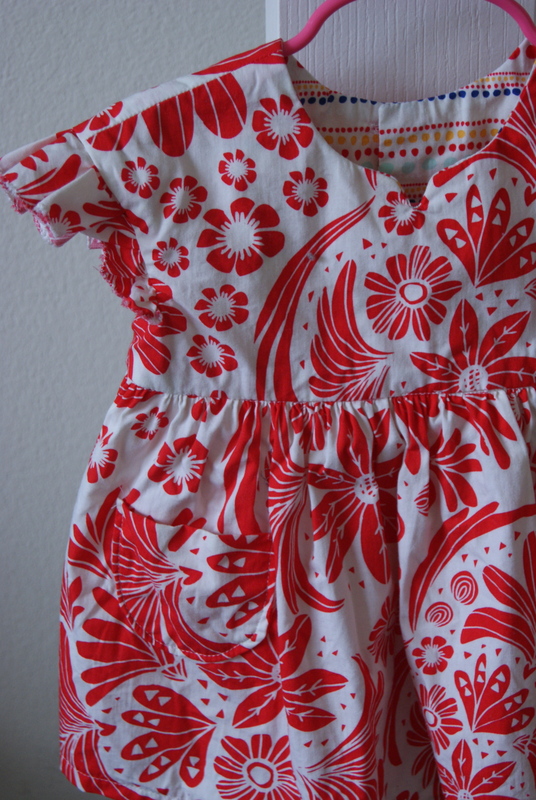 It’s an easy-sewing, easy-wearing, well-fitting little-girl version of that Washi Tunic I’m DYING to make for myself. I made all three of these in three naptimes, and I’ve only ever sewn a Tova and a pile of aprons, as garments go. The best part about these is that they fit Lucy easy, but tailored enough, so she can layer them over a pair of leggings and a long-sleeve t-shirt, or under a cardi while the weather decides what it wants to be. So versatile! And seeing as how I’ve already washed milkshake out of the red one, and spaghetti sauce out of the Flea Market Fancy one, they are totally easy-care. A must for busy toddlers. Finally, a shout-out to my Janome 3160, which has a buttonhole foot. It’s some kind of magic to be able to put a button in the little hole and have the thing automatically sew a perfect buttonhole. Feels like…cheating. Fabric notes: blue is Flea Market Fancy Posie, lined with the Seedpod Stripe; red is two prints from Maya by Leah Duncan for Anthology (has anyone heard any rumblings about her new line? I thought it was due out this spring but haven’t found it anywhere, despite obsessive Googling); white texty is the text print from Thomas Knauer’s Asbury (Andover Fabrics), lined with Lizzy House Pearl Bracelets in Frosting. Size notes: I waffled about what size to make. My kid’s a WEIRD size (confirmed by her pediatrician). She’s so tall that I sometimes have to buy 3T pants, but so skinny that 18-24 month tops sometimes look baggy around her neck and arms. 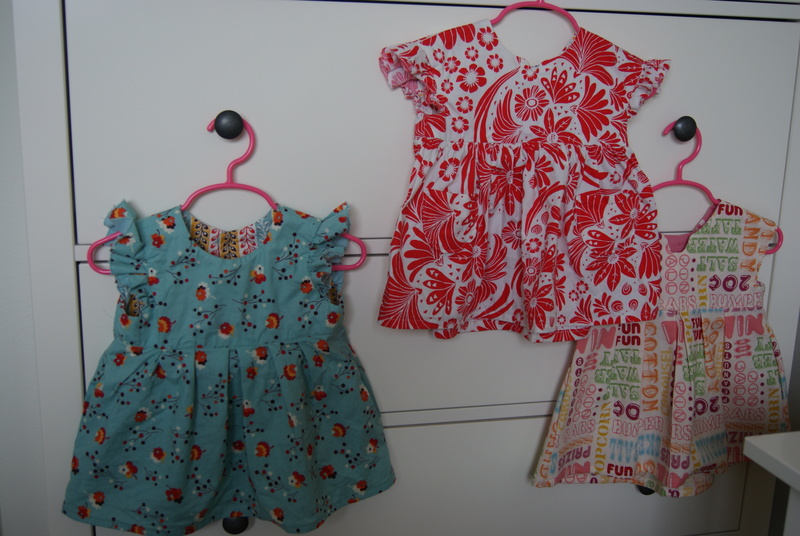 I measured her chest and decided to make the 18-24 month size, with a smaller hem. Fits a charm. 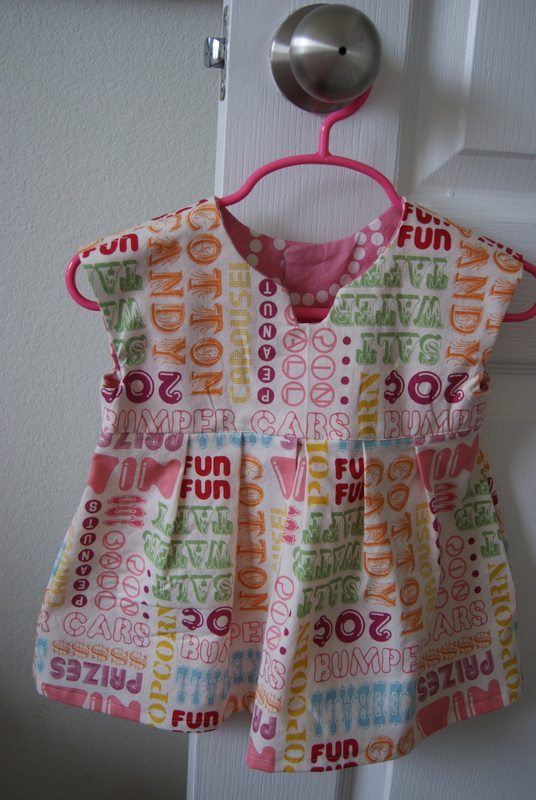 I may do a batch of 2T dresses for the fall!